Powerful Ryzen Processor with Radeon Vega 11 GraphicsDesigned for users thinking about building an affordable gaming system the AMD Ryzen 5 2400G is a good place to start, by itself it can run popular titles such as DOTA 2, CSGO and Rocket League, the integrated graphics also fully supports DirectX 12 and Vulkan. The Ryzen 5 processor comes unlocked and ready for you to squeeze every last bit of power by utilizing AMD's Ryzen Master Overclocking Utility. Packed with a Wraith Stealth Cooler which gives you the necessary cooling to run this CPU at it's peak and with it's low profile design will fit in with almost any build. High Performance CPU With RyzenIntelligent AMD Ryzen processors are designed to bring you the ultimate, high-performance computing experience. The latest revolutionary AMD multi-threaded processing technology gives you blazing fast performance when you work or play. 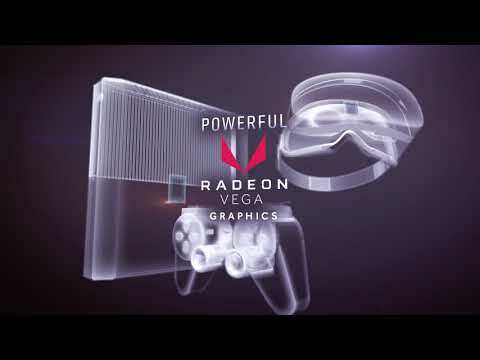 GPU Graphics Fused with CPU Processor AMD Ryzen Processors with Radeon Vega Graphics are armed with some of the most advanced, powerful computing and graphics hardware available today, fused together in a single processor to deliver the high performance you need for demanding work and serious play, without compromise. Take Control and Boost your performance The new Ryzen 5 2400G processors are fully unlocked in terms of CPU, GPU, memory, and voltage, these new CPUs are efficient 65W models, whereas most Socket AM4 motherboards can handle up to 95W, that’s some free headroom you can use to test your overclocking chops. AMD WRAITH COOLING FOR SOCKET AM4AMD have stepped up the ante with a whole new line of AMD Wraith Coolers for the Ryzen 2000 processors. This 2400G AMD CPU comes free with the Wraith-Stealth cooler that features near-silent acoustics coupled with capable thermal performance. AMD Ryzen™ 5 2400G w/ RADEON™ RX VEGA 11 Graphics, S AM4, Zen, Quad Core, 8 Thread, 3.6GHz, 3.9GHz Turbo, 4MB, 65W, CPU is rated 4.9 out of 5 by 8. Rated 5 out of 5 by andypc from Part of new Linux build After much research this was the chosen CPU for my new build together with Asus Prime B350 motherboard. Installation was OK. You have to remove the CPU cooler mount on the motherboard to fit the enclosed cooler. Very quiet and booted first time. Seems to be OK with "Opensuse Tumbleweed" distro. Rated 5 out of 5 by RWFraser1990 from Great start CPU (APU) Great product, fantastic price for what you get. Great for multi tasking and light gaming. Highly recommended. Rated 4 out of 5 by Dolphin from Good, but annoying without newest bios Annoying to get working if you’re using an old mobo like me. If your integrated graphics don’t work, you’ll need to put another cpu and gpu to then re-flash the bios. Then it’ll work with the next gen gpus and this one. Also Ubuntu has an issue with at least this processor. To fix that you’ll need to compile the gpu drivers instead of having the GRUB loader load them. Otherwise you might get stuck on ‘amdgpu...’ sometimes otherwise. Rated 5 out of 5 by Jim828 from Excellent all round value I decided to upgrade my NAS and was undecided on the CPU. I eventually bought the 2400G and if I'm honest I didn't do much homework. What a nice surprise I got from this CPU. I have a large media library that family also use via Plex and Emby and the 2400G doesn't even break a sweat while transcoding and stays below 50c. The next nice thing was the graphics. Now, it's not quite up to my 1080 but considering it's onboard, it's very good. Again, keeping things in perspective, it is onboard so I wasn't expecting much but as another reviewer said , it will play later games which Intels offerings would find trouble with. A great all round CPU/Graphics. My NAS is now a NAS/HTPC I bought the Biostar X370 Racing board to go with it. I've not touched Biostar in years as, well, it was Biostar! Good little board as it turned out but be aware you may need a 1st Gen Ryzen to update the BIOS before the 2nd Gen will work. AMD offer a free loan service so plan ahead. Rated 5 out of 5 by Dram from Great for a decent desktop and the odd game. Was looking for something to replace an old core 2 duo desktop. Wanted mini ITX form factor to have something on the desk instead of under it. This is the second Ryzen 5 system I’ve built. Both have impressed. Kids over the moon the on die graphics are fast enough to play Epic Fortnite with decent speed. Best combined APU I’ve ever seen and decent if your desperate to build something and get it running and upgrade to descrete GPU when funds allow. Although you may be surprised and not even want too. I have just completed a build with an Asus Prime B350 motherboard, and system works fine. Please note I use Opensuse Linux as my OS. Yes, this will work with any modern graphic game. I wouldn't recommend buy this if your planning to buy an independent graphics card anyway. I've attached screenshots of dedicated CPUs. Hi, Does the Division 2 come with this CPU during the current promotion? https://www.scan.co.uk/shops/amd/ryzen-division-2 It does not list the CPU on the promotion page but in the terms it states * Eligible products include AMD Ryzen&trade; 7 and AMD Ryzen&trade; 5 desktop processors with 2000 Series model numbers..